“Raila comes with a track record. Raila has worked hard to liberate Kenya; to create democratic space. To ensure that impunity is a thing of the past and many, many other [accomplishments] around brand Raila Amolo Odinga.” William Oduol. There is nothing to add to this excellent assessment of Raila by the very man at the center of the Siaya nomination fracas Raila enemies are trying to exploit for their ill-motivated quest to “stop” Raila from being reelected but this time sworn as our next president. I take this opportunity to thank Mr. Oduol for his objectivity and separation of Raila from the rest of whatever happened in Siaya of which clearly Raila had nothing to do with it for if he had, you would expect this gentleman to be screaming from the top of mountains that he did. Now, the nomination exercise is over, Cord family get out there and promote those who have been nominated, especially those at the top and let the tsunami known as ODM and now Cord once again unleash it’s power and force of influence and appeal across the country as we saw in 2007. Do not be distracted by those against change and lovers of status quo whose sole mission is to throw the country in reverse gear by trying to “stop” Raila in his rightful and much desired ascendency to the presidency. They shall fail much as they have in the past and their failure will be a victory not just for Raila and Cord but the country as a whole for only Raila and Cord can lead us to where we should have been a long time ago and that’s a country that respects the rule of law and rich in democracy, peace and prosperity. Why does Raila and being a Luo in general get people worked up in such a frenzy such that many are now going into overdrive and hyperventilating because of disputed polling in a couple of counties out of the 47 the Cord coalition held successful and peaceful elections? All this while the elephant in the house—the monumental failure by the Jubilee coalition, the only other serious contender challenging Cord—sits pretty; why? The answer is very simple: throughout the history of mankind, great leaders have had the misfortune to attract both those who love them and those who hate them with equal fervor, if not worse. Indeed, great as any leader can be, the each expect a great deal of hostility and opposition to what they do; however, the hate and vitriol directed at Raila is unprecedented in Kenya albeit comparable to other world leaders who have and continue to suffer the same fate. President Barrack Obama of the United States, who is certain to rise to a level of greatness comparable to that of a few leaders before him such as Abraham Lincoln, is so hated among many on his right of politics, they literally could kill him if they had the opportunity. We, of course, know Lincoln himself was fallen by a bullet from a hater and part of a larger conspiracy of haters who did not want Lincoln to succeed in crushing the confederacy cause—a cause woven together primarily in its desire to keep blacks as slaves forever. John F Kennedy, the most famous of all assassinated great leaders had so many haters and enemies, it will never be known under whose orders exactly was he gunned down but much as that may be the case, JFK, like Lincoln before him, had millions of people who loved and admired him than the few who hated or wanted him dead. We, of course, cannot talk about great leaders who were loved by many but hated by a few who wanted him dead and their wicked wishes were satisfied with his assassination without mentioning the one and only Dr. Martin Luther King. And these are only some of the examples from the United States; I can go on and recount for you similar cases in South America, Europe, Asia, and so on but no need to as that will result in writing a book. The point is, Raila and us all must accept the reality with greatness also comes the price of being hated by those who can’t offer a single, rational reason why. Rather, we are talking about irrational, visceral hate of leaders like Raila who those who know them beyond what is projected in the media, know they’re very humble, affable individuals who would not harm, let alone hate anyone. Yet, their haters peddle all kinds of hatred and lies about them the unwary by propensity of human nature may be inclined and, in fact fall victim in perpetuating the lie. Truth is, Raila is none of the evil things you hear his haters and opponents peddle. That’s not to say he is perfect or that he suffers no frailties or weaknesses; he does for he’s human being like everyone else. What matters is in comparison to his good qualities viz his weakness relative to all others vying for the presidency, Raila comes on top as the best qualified to lead our country after President Mwai Kibaki’s attempt. He is the most qualified of all those running for president to be elected as one. 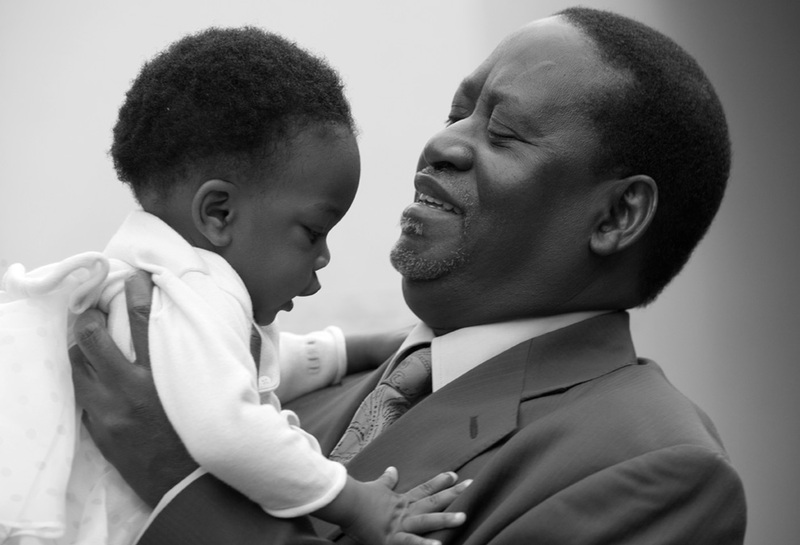 I could go on but you get the picture this is a picture of a man one couldn’t ask for more to be our next leader in Kenya. As for being a Luo, let’s just start with the basic proposition and truth and that is, for whatever reason, each community or tribe has for one reason or another, valid or not, built an image prone to general characterizations that may or may not be accurate but, as a general rule, general characterization can be lethal to an individual from the same community who may not have or share in those characterizations, especially the negative ones. However, if such an individual overcomes the negative group generations and emerges as a leader at the top, he or she does all good by eradicating or at least equalizing such negative characterizations and, in fact, victimization on account of merely belonging to the so characterized group or community. Thus, when for years and decades it was believed a Catholic will never be elected as president in the United States as president, JFK proved the country wrong by being elected despite being a Catholic. As a result, officer seekers from all other denominations that were previously discriminated against saw that as an opening to venture into politics and they did so much so such that Mitt Romney, a Mormon, nearly became elected as president when conventional wisdom held he couldn’t even get past the nomination by the Republican Party so dominated by evangelicals who think Mormon is a cult, not a religion. We all know about the centuries old held backward belief that a black man or woman for that matter, could not be elected president. Well, our brother President Barrack Hussain Obama proved everyone who held that believe wrong and yesterday he was sworn for the second time as president of the United States, clearing the bar now for the first woman to be elected and that many hope to be the woman he trounced on the way in becoming the first black president, Hilary Clinton. In Kenya, Raila must overcome not only being loathed by a few who really have no rational reason to do so other than perhaps the fact that he is a Luo, he also must overcome the stupidly held notion that Kenya can’t be led by a Luo—stupid because there is no rational reason why and any advanced such as because of their traditions and customs are stupid on their face. This is something Raila is on the verge of doing, namely, overcoming this individual loathing of him as well the stereotypes about Luos and upon doing so, he, like JFK and Obama, he shall erase these invidious beliefs built on false notions of superiority when we were all created equally different not in any innate characteristic or trait peculiar to one group or another in natural ability to be or not to be what one can be. As for the loathing of Luos in general and their share of stereotyping, this can be attributed either to ignorance or because of the manifestation of greater bravado and pride relative to other communities, which is often mistaken for a bad thing even where it’s not, and that’s generally the case, namely, the latter. For more of this, please read Bravado and Pride of Luos: Fact or Myth? As the psychologist said in the article, there is nothing wrong to express pride for oneself of one’s community; the problem is if one does it excessively. That’s the question but it’s not one which renders itself to a simple answer. As in such questions, the answer depends on any number of factors and circumstances presented for evaluation. The soccer fan at Nyayo Stadium with a jersey announcing he is from such and such village, is probably out-of-place. It’s not villages that are in competition, but groups of villages, as represented by these teams therefore the promotion of one village over the others is in by itself the definition of anti-teamwork, which is necessarily counterintuitive and counterproductive, if displaying such messages intended to express oneness with the team, or support for it. Now, on the larger question of bravado and pride, I find it a fascinating subject because it’s both a good thing but equally undesirable. I come from a family of 10, with one mother, who is still around and we are thankful to God for that. Our Mzee passed on a few years ago but if there is one thing he left in all of his children starting from our oldest now over 70 and retired to yours truly, who is the youngest, it’s never to chest-thumb or otherwise brag and none of us ever has and doubt ever will, as anyone who knows us will tell you. There is greatness in being humble, but don’t be average either. That was the lesson all of us learned from our Mzee who, having retired early as the head of the African Tribunal Court, went on to become a highly respected member of the community, besides becoming a staunch Adventist and elder of our SDA Church to the day he passed on. I am glad I and my siblings learned this lesson and applied it in our lives as we grew up and hopefully have passed it on to our children (to say we have, is not to be humble so I can’t say we have or have not, or is it?). But is being the opposite necessarily a bad thing? In other words, isn’t there some utility in bravado and one proudly expressing oneself? I think so, but only to some extent. This, namely bravado and proudly expressing oneself and its appropriateness, in fact, becomes one of degree, but the question, as I posed above becomes, when is such expression excessive? There are two extremes of this, as in many things, ranging from the most arrogant to the most humble. Neither end is a desirable position to be, albeit for different reasons I address below. That book sold like hot cakes and its author, Al Franken, is now a United States Senator. “Talent on Loan from God,” “Maha-Rushi” (from Maharishi, a great sage); ”Serving humanity just by being here, and it doesn’t matter where here is,” “exuding knowledge and information with half my brain tied behind my back, just to make it fair” (this from a High School-drop-out), “Doctor of Democracy” and so on. We all know Idi Amini and the titles he bestowed on himself in his foolish believe that would make him the super military general he was not but for his effort, he must be mentioned alongside this Big Fat Idiot Rush Limbaugh for he must be his runner-up. These two are representative of the one extreme of self-expression but say what anyone can about the Big Fat Idiot Rush Limbaugh, he has a cult-like following among Republicans and even non-Republican listeners that have for decades made him the #1 Talk Show Host and a position he has maintained unchallenged all those years because he knows how to grab and keep his audience with endless rants and raves about Democrats and hubris. So much such that when he brags about himself, these mindless listeners believe him and often acknowledge and remind him as much. On the other end of the scale, there is extreme humbleness, which is a form of weakness and here, the perfect example is Jimmy Carter. You cannot find in any country’s history, a president more humble than Jimmy Carter, yet, he was deemed a failure, even though he redeemed himself after leaving office to become the most popular president out of office in American history, right up there with the likes of Dwight Eisenhower, FDR and JFK Kennedy, men who in their own time, were humble in their own ways albeit to a much lesser extent than Jimmy Carter. In between, these two extremes, there is a variety of self-expression and manifestation of assuredness and humility or lack thereof that ranges in degree from the acceptable to the unacceptable. Where are the Luos in all of that? Is it as the article implied on the Limbaugh end or the Carter end, or neither? In my view, this is necessarily a mischievous rap on Luos. Luos have no more bravado and neither are they more openly expressive of their pride than any other tribe in Kenya. This may be true among the younger generation of Luos but in time, as people move away from their enclaves and interact with others, some of the learned habits are unlearned and a blending of attitudes and mannerisms occur such that it makes no difference where one tribally or ethnically comes from but that does not mean there are not those left with their old habits and manners they are unable to shake. I therefore reject this notion that bravado and expression of self-pride is the stable of Luos but would readily agree, if it’s a matter of propensity we are talking about, then there is amble anecdotal evidence to suggest its more likely than not a Luo would manifest bravado and more readily and comfortably show his or her pride than similarly situation folk from other tribes but only up-to a certain age. First, there is no rational basis for people to hate Raila to the extent they do. Second, we all must transcend above tribalism in choosing our leaders at the national level, ditto for negative ethnicity when doing so at the local level. Third, painting with a broad brush is never a good idea and neither is it judging and condemning people merely by where they come from or who they are related to or associate with; the former people there is nothing anyone can do about, the latter may be for legitimate reasons the one condemning will do the same thing were they in their shoe, including friendship and loyalty. Fourth, much as we expect the best in all of our leaders, we must also accept the fact and reality no one is perfect the wise thing to do is compare the strengths and weaknesses of those vying for office and elect those most or best qualified between and among those vying, taking into consideration we are not electing saints. Fifth, always remember the ones shouting the most about Raila this, Raila that all evil and spewing hatred of him have nothing but ill-advised, tribal or selfish reasons for doing so that have nothing to do with the interests of our beloved country and must therefore be dismissed and shunned accordingly by those who love or care about the country. It is my hope and prayer that the man will overcome all of that hate and schemes to “stop” him from being reelected as president and this time have him sworn as our next president to do the things he has promised to do as the transformative leader he is and must be by his own recognition and intent. Above all, may there be peace and unity in the country after the elections. 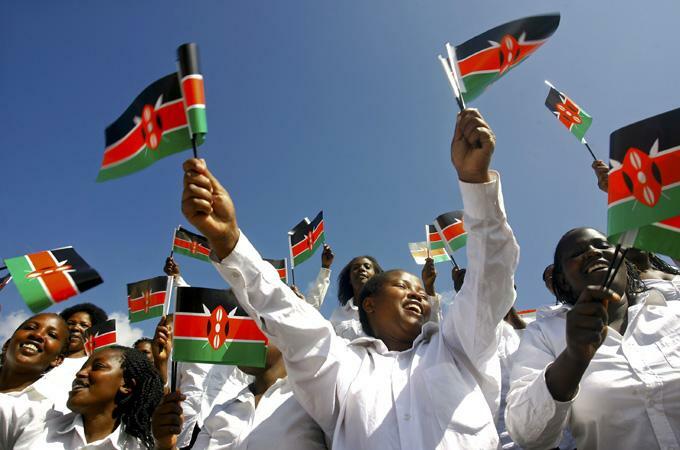 Call me an optimist and I am but I would want to believe there are far more Kenyans that love our country and would want to see us all coexist in peace than those who don’t or who could care less. I would also want to believe there is an even smaller number of those who would proactively plan, sponsor or actively engage in creating chaos and a general sense of insecurity in the country. However, as we all know, and tragically learned from the events following 2007 elections, it doesn’t take much to put the whole country up in flames and lose everything we have thus far attained, not just from independence but, more importantly, the gains we have made since promulgation of the new constitution that we obviously need to and must build on for a better future. It is said history often repeats itself. When it comes to elections in Kenya, there are several predictable things we can say happen each general election circle, taking 2007 out as an anomaly to the extent it applies to one of these unfortunately, “musts” described more broadly. First, there is a tendency for increased stoking up of tribal tensions in key hotspots and these can be loosely defined as areas where “strangers” are perceived to occupy land that the “locals” consider to be theirs and wrongly taken from them decades back. Second, these tensions often escalate to violence climaxing at actual election time. The year 2007 was the anomaly in this increased tensions and violence to the extent the violence was unprecedented and beyond what anyone other than, perhaps, the perpetrators knew Kenyans were capable of; before 2007, these are barbaric acts most believed were only possible in other countries but not in Kenya. Third, there is always widespread rigging and one can count on it happening again the question is, to what extent; again, here 2007 was an exception and an anomaly to the extent the rigging was so flagrant and unprecedented, hardly anyone other than those who rigged knew was possible. Given this history, what must be done we at least don’t see anything even remotely close to a repeat of 2007? I promise to put my interests and those of my family first in all decisions I make and see to it that those interests are met through the labor of my hard work supplemented by others only to the extent they are a means to meet my objectives and this includes decisions I make about who to vote for in the upcoming general elections. I promise to only vote for and elect leaders who put the country first, and their interests of those of their cronies second or last. I promise not to vote for anyone solely on the basis they come from my tribe or ethnic group and, conversely, I promise not to withhold my vote from anyone solely because they are from any particular community. I promise not to vote for any politician who seeks to divide our country or gain office by divisive and tribal tactics but, conversely, I promise to vote only for those candidates who seek to unite our country and have a proven record for doing so. I promise to be fair and open minded in evaluating candidates to vote for and base my decision not on the basis of misinformation, lies and distortions but on the basis of known facts, leadership ability, integrity and their stated positions on the issues that I care about. I promise to constantly remind myself that I don’t know better than the next person who knows best and in the event I don’t, I pray that God gives me the wisdom and/or ability to know better. I promise to be considerate of the interests of my fellow Kenyans even as I pursue mine to the maximum extent possible. I promise not to be a hypocrite and if I am, may God make it possible for all to see through my words and deeds, including those appearing in print or on computer screens as a result of my fingers typing at the direction of my wicked mind. I promise not to hate anyone or wish them ill just for who they are and even if they have wronged me, I promise to find ways to forgive them as God instructs us all to do and that is, to love one another. I promise to do my part in bringing about change in our country, including keeping these promises, or even running for public office myself, which should be a good start. 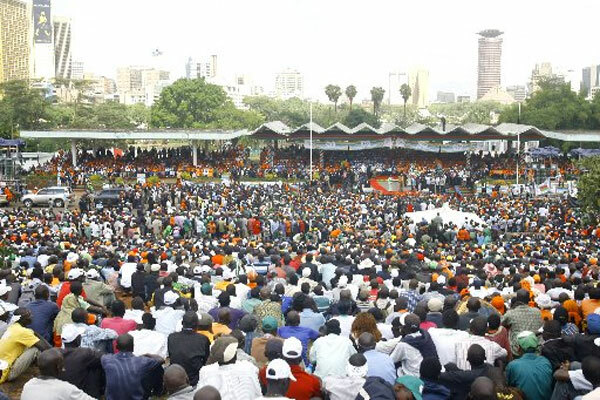 If all or most Kenyans keep all of these promises, and remain faithful to the end, then it wouldn’t matter who emerges at the top as the winner and is sworn as our next president for that person would be governing a country united and ready to match forward as never before–more than even the euphoria of 2002. That’s the Kenya we should all desire. That’s the Kenya we must have in short order. The only one stopping us, is us. Very soon there will be a lot of heated discussions, especially in the social media. 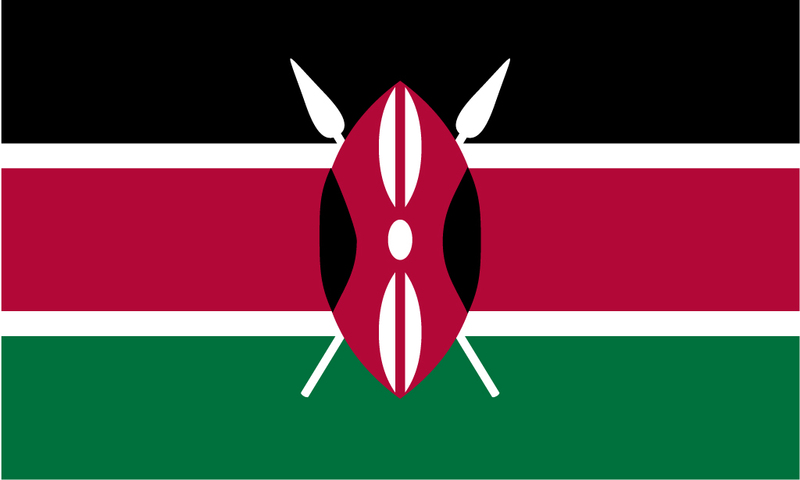 Be on a look-out and reject enemies of peace who may want to exploit tribalism for their selfish benefit or at the behest of others with same selfish intentions neither both of which are harmful to our country, especially the latter who can create great havoc by being paid a few hundred shillings. Remember, in the end we each have a responsibility about what happens to our beloved country and what her future shall be; do your best and always do the right thing, viewed from the perspective of what does it benefit the country as a whole, not your individual selfish or misguided needs. That’s my hope and prayer. I earlier blogged about Oburu Odinga being confirmed as ODM candidate for governor, based on information received from a reliable source. In that blog I stated the source told me he/sh is confident there was no rigging in the nomination process and that Bett postponing formal confirmation of who won is in tandem with ODM procedures that should not be interpreted to mean there was any irregularity in the voting. A different and more reliable source (yes, even in reliable sources there are different layers of reliability from impeccable to less reliable, the latter being those you always have to watch for being spinned or used for their own individual needs:-)–anyway, the more reliable source tells me there is reason to believe the Siaya poll was not a text book exercise and the big wigs of the Cord coalition are even as I pen this blog discussing the Siaya poll and will decide the best way forward. This source is as reliable as any can be short of hearing from the horse’s mouth so I must say that’s the case. My take on this: ODM victory is at hand please let no one among you mess it up; much as there is no one single person is more important than country, no one single person is more important than the coalition, including the flag-bearer who has simply been given the nod to lead the coalition of the willing much as he will be given the nod to lead the country of both the willing and unwilling. The unwilling in the country have no choice once Raila is sworn as our duly elected president but we can’t afford to have the unwilling or disgruntled in Cord neither is it wise to create conditions under which they sprout. The latter can easily be avoided altogether by doing the right thing. I have it from a reliable source privy to the goings on in Cord and in particular what happened in Siaya yesterday during the nomination process and can sum it up this way: There was no confirmed rigging in Siaya as has been alleged. Cord National Electoral Committee led by the able Hon. Franklin Bett has strict guidelines that must be followed before nominee results are submitted to the IEBC. Pursuant to those guidelines, Cord has delayed announcing who won the Siaya county ODM nominations for governor and the source emphasized that in by itself is not an admission that the there was anything irregular in the voting; the delay is simply to verify that the results are accurate. The source tells me ODM had in place a rigging proof nominations system to ensure there was no chance of rigging and, more importantly, as the source also emphasized, to make it easy to expose or discover such rigging. The source could not divulge the details of this system for obvious reasons but all he could tell me is based on that, he/she is confident there was no rigging in Siaya as alleged and accordingly Cord NEC will, indeed, confirm that Dr. Oburu Odinga is the winner. I also asked my source whether it’s true that William Oduol is a TNA plant his/her response was he/she did not think so but is of the view Jubilee has tried to exploit his candidacy but thus far has been unsuccessful. Based on all of this, I would simply urge our loyal brigade not to not be distracted by all the noise making about Siaya while the truth is Cord had nearly flawless nominations nationwide while Jubilee has imploded with its monumental nationwide failure in its nominations! And that’s not to say anything about the record direct nominations Jubilee has had, shoving down Jubilee member throats candidates they don’t want much as Moi tried to shove down our throats a Uhuru presidency we did not want, and still don’t want. Members in the Jubilee corner may be hapless and have no choice but swallow those candidates shoved down their throats but voters going to the polls on March 4, 2013 will reject a number of them, beginning with those at the top. The irony in all of this is, going by the noise in the social media and news coverage on the ground you would think we somehow returned to single party era where Cord is the only party in Kenya. That’s actually not a bad thing because, strictly speaking, Cord is the only true national coalition. The rest are tribal outfits more or less as now documented by how they performed in the nominations. May the best and truly national coalition win. I was recently interviewed by Pan African Visions regarding our upcoming elections in Kenya. You can read all about the interview here. Let’s assume for a moment that neither Uhuru nor Ruto was facing the serious crimes against humanity they face at the ICC and the question was simply, who is better experienced and ready to run the country from Day One: Cord led by Raila or Jubilee led by Uhuru? The answer is simply Cord led by Raila as evinced in today’s nominations. By bungling its nominations as it did, Jubilee confirms it’s not ready to lead the country were voters to make the mistake and elect them. On the other hand, Cord nearly flawlessly carried out its nomination exercises and only need to redo less than a handful locations when Jubilee has to basically redo the whole thing across the country. That’s Exhibit A Jubilee is not ready for governing on that basis alone, namely, they cannot even manage to have ballot materials to their polling stations! Okay, Cord did also fail to deliver voting materials to their respective polling stations but these were far less few compared to the colossal failure by Uhuru and Jubilee. Again, it’s not perfection we are looking for but relative strengths and leadership ability. By this measure, Uhuru and Jubilee get a failing grade, Raila and Cord get a passing grade. They should be handed the responsibility to lead the country come March 5, 2013. Handing that responsibility to Uhuru will be a disaster for the country because he’ll reverse our gains. The choice is that clear and let’s hope a majority of Kenyans going to the polls on March 4, 2013 clearly see that and cast their votes for the only right coalition and that’s Raila’s Cord. It’s my prayer that they do.